How many blog posts have you read about businesses for moms or stay at home businesses for moms? They all include great lists of businesses you could consider, but let’s be honest, they don’t really share the steps to get started and thrive. My goal isn’t to list off all the businesses you could start as a mom, but to give you the actional advice in this ultimate guide that you can follow to get your business off the ground and running. Now before I dive in, any business you start should be driven by your passions, expertise, and values. Why? as a mom, and more specifically, as a mompreneur, you will always face competing priorities. From swim lessons to soccer, homework, meal planning, even corporate jobs, starting a side hustle with the goal to grow it into a thriving business takes time, commitment, and a lot of energy. Your success will come from wanting to work on your business after a long day or before the day has begun. Your success will come from knowing your industry or craft like the back of your hand and utilizing tools to help manage those other business processes and technologies. The mom businesses described below are not hypotheticals. I personally have spent years researching the most effective and efficient ways to start each of these businesses (in addition to an MBA) and have started a mom blog, etsy store, dropship store, and added to my freelancing business all since growing our family. 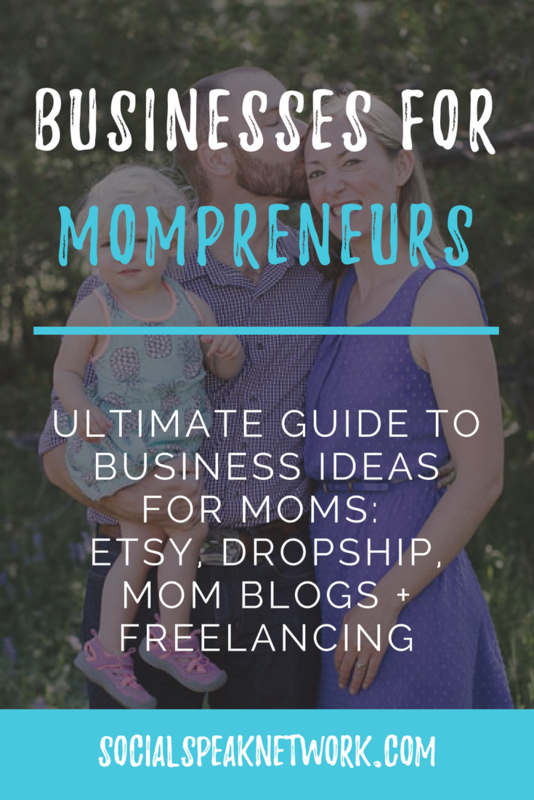 The guide to mom businesses below covers the exact tips and steps that I recommend to get you off the ground and running towards freedom and flexibility as a mom. Whether your goal is to build a creative outlet or start the foundation for a business empire, I am so excited to learn about you and your vision. As a mompreneur, you are allowing yourself to create exactly the type of business that fits your needs, interests, and goals. Take a moment to consider your dreams. Are you yearning for a creative outlet beyond children’s crafts? Would you love the flexibility to make your own schedule? Do you hope to contribute financially to your household? Can you not go another day without adult interaction? Are you trying to be the best positive role model for your children? Moms start on their journey to becoming a mompreneur for a lot of different reasons. I’m here to help provide you with the actionable steps you need to turn your interests into a successful business that can help you fulfill your dreams. From bloggers to Etsy store owners, Amazon dropshippers, freelancers, and more, I’ve worked with individuals who seek to contribute and leave their mark on the world just like you. With a background in digital marketing (yes, I’ve owned my agency for nearly a decade), my advice focuses on the online aspects of creating, growing, and sustaining your business. My resources aim to help you start strong, scale fast, and sell more while you use your own strengths to create the business of your dreams. What does it mean to be a Mom Blogger? Mom bloggers, or really all bloggers, produce content that is published on a website. Mom Blogging often has the connotation that you need to be writing about parenting tips, home improvement, or recipes, but trust me, there are a LOT more mom blogs out there than just these topics. Start thinking about your PASSIONS and INTERESTS. Could you create high quality content every single week or multiple times per week on this topic? Is it something you would grow bored with after a year, or does this interest transcend into all aspects of your life? To be a Mom Blogger, you need to be diligent about creating high quality content (between 2,000-5,000 words) each week and then sharing this information to gain readers and followers of your blog. Bloggers typically make money through affiliate commissions, advertisers on their site, and digital products. You also may have the perk of freebies from other folks within your industry. Blogging isn’t for everyone. To start a blog and see results fairly quickly you will need to spend about 4 hours per day growing your digital network, creating content, putting together your systems, building an email list and sharing the information you create. To run a successful blog you can’t sit in a bubble and you should try to view your blog as a way to connect and communicate with others who share your interests. When you have your systems in place and traffic is coming to your website, you will typically find that running your blog only takes 2 hours per day. From here, your income potential can really skyrocket. There are many mom bloggers who make $20,000+ each month, but far more who only make a couple hundred dollars per year. It’s not that these bloggers aren’t working hard, they may be focusing their attention on the wrong avenues or may not be giving their blog the chance to really thrive. That is okay! I’ve worked with a lot of bloggers who start first with video or audio and turn transcripts from these into content for their website. Starting with video or audio allows you the chance to showcase your expertise and your personality. What better way to grow a blog than have this multimedia on your website. Brainstorm a list of your interests or passions. Narrow this down to the idea that you would want to write about for years into the future. Who else is writing about this topic? What are they doing well? What would you improve? Is there one person in particular who you would like to write for? Who will make up your tribe? Be specific! If you know someone who would be interested in your blog, write down their name. What are your top 5 values? How can you incorporate these into your Blog’s Brand? What are your brand colors and is there any emotion or feeling you want your blog to elicit? Create a list of all of the topics you can think of that relate to your blog idea. Think about topics that you can tell stories about from personal experience, topics people likely are going to be searching for on Google, and topics that appear to be getting a lot of traction from blogs on the same or similar topics. Which other bloggers can you partner with? Jump into Technology! In order to run a blog, you will need a website and an email account. I won’t go into detail here, but I do have a blog post on this at SocialSpeakNetwork.com. 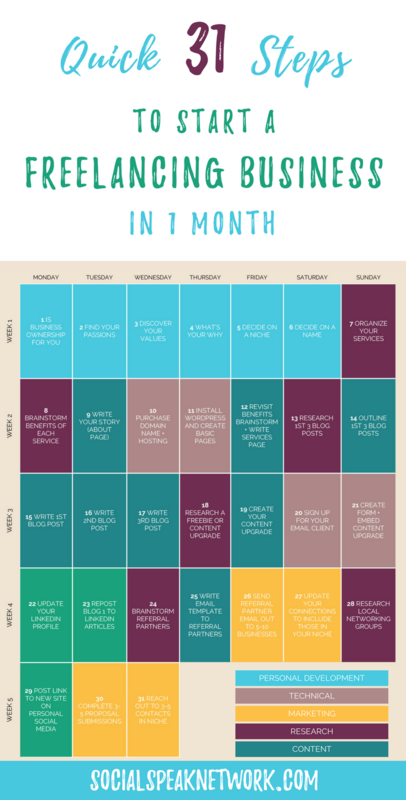 To jump start your blog, I recommend committing to write a blog every other day for a month. Why? This creates a database of content for your blog that you can then link to and share online. After the first month, you can slow down to 1 blog per week. Just remember, each blog should be high quality (and at least 1,500 words long). At the same time you are working on this first set of articles, start reaching out to people you know to see if they would be interested in joining your email list. As a blogger (or any digital business) your Email List is the most important asset to your business. Being a Mom Blogger can be incredible rewarding if you are willing to put in the time and energy. The first thing we think of when we hear bloggers is a website with articles on it, but in reality it is about building a community around your passion or interest. Even if your goal is not to make money from your blog, being a Mom Blogger can be a rewarding creative outlet that connects you with others who share your passions and interest. Could there be anything better? 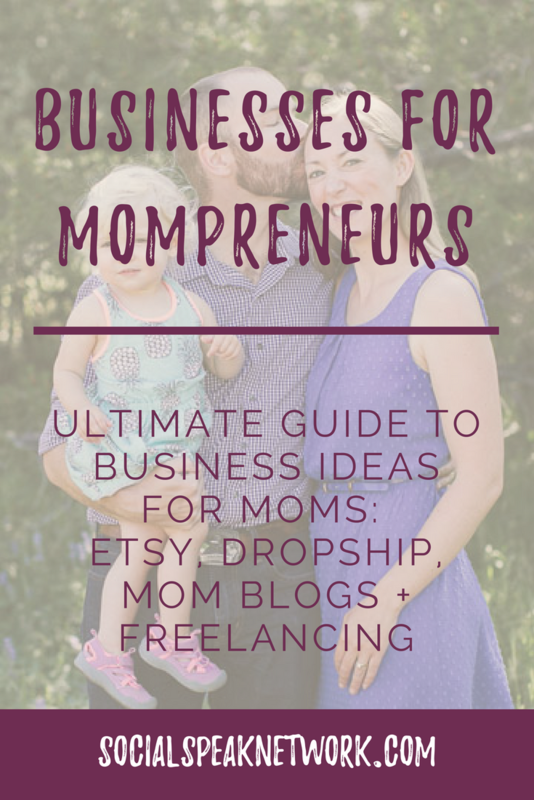 The next topic for mompreneurs is Etsy! I love Etsy both as a seller and as a consumer. Etsy is a great avenue for converting your hobbies into a business through selling crafts and designs. Just as with any sales channel, you need to think about whom you are selling to and how you can best position your products to sell to them. Broadly, Etsy is a platform for crafts (wo)men to sell their handmade goods online. Products include everything from greeting cards to knitted hats, digital downloads, screen printed t-shirts, and antique gifts. I like Etsy as a mompreneur because it is already a portal that your tribe is using to find unique and handmade products. You don’t need to build a complete ecommerce website and find ways to get traffic to the site, instead you just need to have your products to sell and optimize your titles and descriptions to gain traction. Is running an Etsy Shop for you? In order to run an Etsy store, you need to be able to make something handmade or have a collection of goods that others may want to purchase. If you don’t have a craft/hobby (paper crafts, sewing, graphic design, woodworking, etc) or if you don’t have a collection of goods (teacups, antique bread boxes, etc), Etsy may not be for you. Now there is some wiggle room if you don’t necessarily have something handmade to sell, which I’ll describe below. If you do have a product(s) already, they running an Etsy shop may be a perfect fit. The marketplace is already built, making your shop easy to get up and running, but the most popular stores have at least 15 different products to sell right off the bat. You’ll need to make sure you have enough of whatever you want to sell in many different designs and variations in order to build your store quickly. Okay, so you might be interested in selling on Etsy, but you don’t really have a craft that you could turn into a viable business. This is where you can have a little fun. Let’s say you are a graphic designer or have some Photoshop experience. You can create designs and then place this design on t-shirts, mugs, dog bowls, bags, etc, using a print on demand service to actually create the products. This is how I manage my Etsy Store for Yip Yap Woof. In fact, I have it set up so beside creating the designs and product descriptions, I don’t touch anything when an order comes in. My silk-screener gets notified of the order automatically and creates my products to be sent out with my branding to customers. You can set up similar systems for your Etsy shop, too, by using services like Printful* to create the products. The next steps for Etsy are fairly straight forward and you can get up and running within a few hours! Of course in order to run an Etsy shop that is sustainable you should create an audience and build your email list, just as with blogging, but the first steps are straight forward. Just as with creating a mom blog, think first about your target market and brand before you set up your Etsy shop. Who will be your core customers? Who else is selling similar products? Next you can create your Etsy account and start filling in basic information, hold off on uploading your products for the time being. After you have your products created and updated, it’s time to build a community around them. Instagram can be a great place to create your community, showcase your products, and post beautiful images. If you want to take your store to the next level, don’t hesitate to post the product information on Netxdoor App, Craigslist, and Ebay. Additionally, local fairs, markets, and festivals can help you gain local exposure. Just as with any type of business, your email list can make the long term stability of your new business much more achievable. Start building your list from day 1! What ideas do you have for your Etsy shop? Can you see yourself growing a community around your crafts and hobbies? Next up we’ll be chatting about Dropshipping businesses, which are where you resell products from wholesale accounts, but never need to hold an inventory. This is the second half of my Yip Yap Woof shop where I resell dog beds on Amazon and Ebay and my suppliers ship the orders directly to the customer for me. Stay at home moms often don’t first think of dropshipping as a business solution when they are first getting started. Why? Even though platforms exist to create your website and easily find products, it can be time consuming to figure out the ins and outs of deciding upon products, branding yourself, and growing your network. As there Is quite a bit of competition in most industries for drop shipping, it can seem daunting to find a way to stand apart with a limited schedule. So what can mompreneurs do to help decrease the amount of time needed to grow their online dropship store? Just as with the other tips and techniques, I recommend first analyzing your passions and interests and formulating a game plan around what types of markets you should approach. Below I talk about my experience of drop shipping as a mompreneur through first finding a pet product company I could stand behind. Looking back at the drawing board, I realized there were products, specifically dog beds and extremely large dog crates with margins high enough to offer free or reduced shipping and cover extra fees like listing the product on Amazon, for example. After Amazon fee’s and the monthly subscription to Amazon, I netted $491.20. Now, this number does go down because I needed to buy the dog beds, ship them, and pay for the company’s dropship fee (their extra fee to pay for sending the package directly to my customer). This is just for one type of dog bed I sell on Amazon and you see how the profit diminishes drastically when all fees are taken into account. But hey, that’s another $1,000 in my pocket every year for very limited work and not selling to my network. Imagine if you are listing more products, larger margin products, and products where you’ve already built an audience of interested individuals! In addition to these beds, I do sell a few other high-end dog bed options, as well as some dog food and health and wellness items via Ebay. All of these are drop shipped, so I never need to worry about moving my own inventory. I must warn you, however, I just needed to purchase my order from another supplier for a product that sold and my profit was a whopping $0.56! Ha. Talk about cutting it close! In the following video I provide an overview of drop shipping for stay at home moms as an option to gain more flexibility and freedom. The next type of business we’ll be discussing is creating a Freelance Business for Mompreneurs! But, if you’d first like to read the dropship business transcript, please click here! Starting a freelance business as a mom may be one of the most rewarding ways to get back into the business world and feel connected to adults outside of your family. Yes, you can forge similar relationships through reaching out to digital business partners, but become a freelancer opens so many more doors! As a mompreneur you will often find yourself alone with your thoughts and second guessing your ability to run a successful endeavor. Being a freelancer, however, allows you to form lasting relationships with your clients. 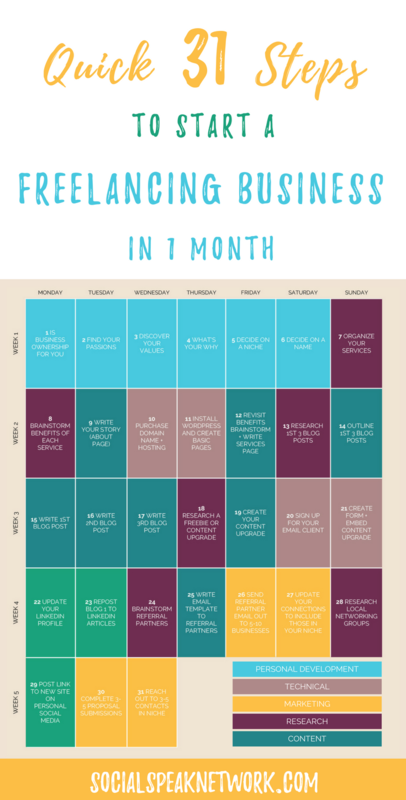 Do I sound partial to starting a freelance business? Perhaps. But this stems from the joys I’ve found in connecting with my clients as I work with them. Please note, I find the same to be true for coaches, counselors, service providers, etc, but if your business is 100% online, it can be difficult for a lot of women to forge the same type of relationship because often communication boils down to Facebook posts, commenting, and emailing. Unless you are committed to thinking about digital networking the same as face to face or networking on the phone, it is difficult to create real relationships with people you’ve never actually spoken to. With freelancing, you are given an opportunity to turn one-off projects into recurring revenue streams for your business. AND, working with your clients month after month creates an avenue for you to grow your new relationships in the business world without having to give up time with your children and family. You can take on as many new clients as you have the capacity for and scale up and down as needed. How can you structure your fees? I recommend freelancers try to steer clear of hourly work, but often that’s what it comes down to. As a mom, however, trying to track your time doing freelance gigs while running to sports practices, cleaning dirty diapers, and figuring out preschool options can be quite the challenge. Starting your path towards being a successful freelancer can be fairly organic. Some freelancers wish to jump in head first into their new business while others are okay growing their client base at a pace that fits their lifestyle. Depending on how much time you have available to commit to your new freelancing clients, you may find that a slow growth fits your current commitments. Knowing this can help you identify the steps you wish to take to get your new mom business up and running and to set your goals appropriately. Now that you know your availability, it’s time to get started! Just as with the other mom businesses you can start, it is paramount you first identify your ideal client. Create your client avatar: what industry or business do you want to target, what are their fears, how many employees do they have, what revenue do they have, who makes the buying decision? Build out your service offerings: within your target industry, what services can you offer, what will you charge? 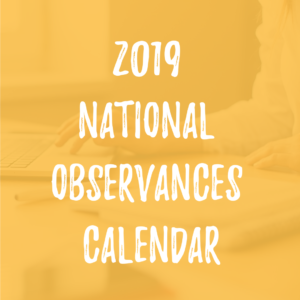 Make a list of personal connections that fit your target market or may know someone who would benefit from your services: think about your connections from your pre-kid career, as well as, family, friends, neighbors, etc. Think of complementary services that you could build into referral partners. For example, if you are a copy writer, partnering with website development agencies could lead to immediate work for your business. Create a quick website describing who you are, your services, and providing a glimpse into your expertise. Reach out to your connections and your potential referral partners to introduce them to your new business. Join local networking groups to increase your exposure to local business owners. Sign up for Thumbtack and Nextdoor to browse for folks looking for your services. Now, you notice I mention only building a quick website at this stage. Contrary to popular belief, though some folks may look at your site, only a handful of referrals actually will. Your first freelancing clients will most likely be people you know personally. Additionally, as you talk with prospects and start selling your services you will find that your target market may respond more favorably to one way of describing your services or that the packages you should be offering are slightly different from your initial brainstorm. You don’t want to spend months making the perfect site when in reality your messaging and offerings are completely off. 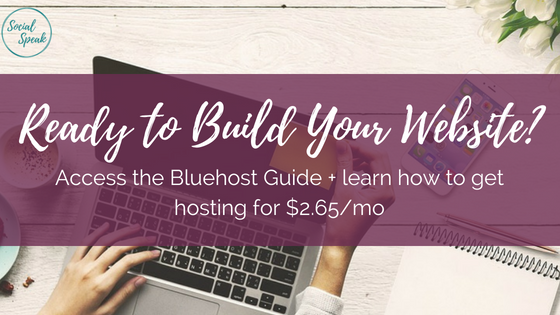 Through using BlueHost you can get a website up and running for $3.95/mo with a domain-specific email address and easy 1-click WordPress installation. It’s worked as a great platform for my clients and for my own sites. With Freelancing as a mompreneur, the best way to get started is to put yourself out there without worrying about not having all the answers. Top three steps to starting a freelancing business transcript available here. As I mentioned before, the best way to grow your new business as a mom is really to dive into something that you are passionate about, an expert in, and that aligns with your values. Without this, it is much more difficult to push through and really experience that freedom and flexibility through business ownership as a mom. If you are interested in learning more about how your values can shape your business, please take a look at the following posts! Today I am going to discuss with you about dropship businesses. What are drop ship businesses? How do they work? How can they fit into your lifestyle? Basically, drop shipping is when you have an online storefront. When somebody places in order, you then turn to the wholesaler and they actually ship that order out for you. I run a business, Yip Yap Woof, and amongst other things, we sell dog products. One of our top selling products is a dog bed from a company out of Montana that uses organic cotton and it’s made in the USA. It’s a great dog bed and we get a lot of sales through Amazon for this, as well as, through our website. So how drop shipping works in this case is somebody places an order through Amazon or through our website (or even through eBay). Now we don’t have an inventory, I don’t have a closet in my house just stocked up with dog beds, but I just quickly jump over to the wholesale website, place an order with my own credit card information, and then they charged me a small fee on top of the typical fee for shipping. Then the customer gets the dog bed. It’s packaged in the West Paw Design packaging and everything, but the package slip does have our information on it. I can offer more discounts and promotions for other products that I offer, as well. And so with each of these orders, yes, I’m not making the full $30 or $50 markup that I would have if I did hold my own inventory and do the shipping myself, however I still do get you know between $10 and $20 dollars per order. I can the either reinvest this back into the business or enjoy them a nice lunch out. Starting a dropship business is actually pretty straightforward there are plenty of websites out there that have whole databases or products. Again, taking dog products, there’s a Pet Store USA and Wholesale Pet USA, as well as a bunch of other stores like this where there is a database of different dog products. It also lists whether or not the company dropships the product or if you just get the wholesale account. Once you find the products that you’re looking for, you can then list them on Amazon, Ebay, or on your own website. If you’re listing these products on Amazon or Ebay, you will find that there are additional fees that you will incur. Amazon’s fees are actually quite a bit, so that $20 margin or markup that that I would get ends up going down to about five or ten dollars. You have to pay attention to whether or not you’re actually going to be making money from the product or if it’s all just going away in these fees. It does definitely take some calculations. On Amazon, for example, I won’t sell a product that’s under $100, just because it’s not worth my time and energy to make fifty cents for an order that comes in. I’d much rather see a thirty dollar kickback rather than just a couple of dollars here and there. So, setting up that dropship store is quite simple once you have the product that you are going to be selling. You can set it up on Shopify, for example. Shopify is great because it syncs with a lot of these different dropship networks. If you have an order placed on Shopify, they can actually make it so the order automatically flows through to the wholesale or drop shipping store. This way you don’t even have to touch the order. You can also make a storefront on WordPress, for example, if you don’t want to have that monthly fee like Shopify. The benefit of Shopify is it’s really easy for you to manage taxes and things like that, but I actually just got rid of my Shopify store and I’m working to just building a more simple blog storefront with WordPress. The reason is because most of my orders come in through eBay and Amazon rather than through my store itself. I think that that’s just a product of being a newer store, so I haven’t done a lot of work to build up my own audiences. What I recommend doing is creating a blog for your business where you’re just working to send out valuable content and information. I found the blog to be a great way to gain exposure and also Instagram. Again, I’m just posting pictures of my dog and my daughter. We now have over 1,500 followers on Instagram and so that’s been a great way to get traffic to the Etsy store. Building up an audience and an email list is should be your number one priority if you are running any type of e-commerce store. Additionally, you should know who your brand is and you can think of it almost like a real retail store with a storefront. So think about, what’s your brand? What type of customers are you trying to attract? Then post things that these people are interested in and try and grow that network online. This way, when you have the products that you’re going to be selling, you can easily turn them on into it. They already know, like, and trust you. These individuals have found value from following you, so you can start reaching out to the wholesale companies and organizations. I always recommend not just listing any old product if you want to make your business more fulfilling. I recommend finding products you have tried and ones where you believe in the company brand of mission. As you’re getting started, try to create a selective group of products that you’ve tested yourself and that you know people are just going to absolutely love. Typically someone is actually searching for these products on Amazon or on eBay, so again, if you’re listed there, you have a better chance of being found. This is just a quick introduction of what it means to dropship. Dropshipping is definitely very rewarding and easier to set up than businesses where you need to carry an inventory. Today we’re going to be talking about creating a freelance business from your passions and your expertise. Now creating a freelance business is a great way to add be creative, have adult interactions, and to find freedom and flexibility. Until MK was able to walk, she actually came around to every single meeting with me. We were just coffee shop buddies and bounced around here and there. She’d be sleeping most of the time at meetings, but the flexibility that I had with my clients just to bring her along wherever I went was really quite incredible. At the time, I was even the president of a local networking group and she came to many of the meetings with me. As long as I didn’t act as though I was distracted by her being there, other people followed suit. Owning a freelance business as a mom really is a great way to kind of have the best of both worlds. MK recently turned 2 so we are finally looking at daycares and preschools that we can potentially have her attend towards the end of the summer. But, keeping her at home until she was 2 was a big goal for us. The flexibility of running a freelance business created the opportunity for this goal to come true. Now, the BIMS Team is much more than a Freelance business. But freelancing really did create the foundation for all the work and services we provide today. There are a lot of different freelancers out there and you might hear some freelancers referring to themselves more as consultants rather than just freelancers. The big difference here in my mind is who’s doing the work. Our team provides consulting for a lot of our clients where we are teaching them how to do the marketing themselves, but we have other clients where we are really taking on their voice and managing the marketing on their behalf. It can be kind of a blurred line whether you call yourself a consultant or a freelancer. Either way, you can go into a lot of different industries. As a mom, you probably have limited time between work (if you are starting freelancing as a side-hustle), children, family, and your own commitments. This makes it incredibly important to make sure you choose freelance projects that you already have the skills to complete. Think about the areas of expertise or focus that you had in a previous career? Consider your own passions and interests. When you combine these two elements, it won’t even matter to clients that you don’t have a lot of experience working on your own and they will appreciate what your past experience can bring to the table. If you are worried about lack of experience, that is fine, too. You can even be honest with your first few clients, but position this as a strength because you will be incredibly focused on their business and the work you can do for them. As a new freelancer, how can you get new clients quickly? There are a lot of different ways that you can go about getting clients when you are a freelancer. I have three favorite techniques. Right when you get started, head on over to thumbtack.com. Thumbtack is like Craigslist for freelance jobs. Folks post there from different businesses that need help with X, Y, or Z. You can find local companies or ones that are in other parts of the US. My husband recently started his own freelance business and I instructed him to go to thumbtack. Sure enough, he quickly was able to reply to a handful of folks requesting exactly his copywriting services. These were job proposals he was sending out the first day of running his own freelance business. Now my husband had never actually run a copywriting business, and he was the director of software development at his last job, so nothing to do with copywriting, but he was an English major and enjoys writing. On the side he actually had been writing for years for some of our clients, but he never mentioned to his first clients that he was just kicking off his business. He knew he could fulfill his promises. In the past we did utilize Elance for finding projects to bid on, but it is easy to get caught up in pricing and not being able to charge what you are worth. If you do find yourself on these job sites, I found success submitting bids for Project Based freelancing work, such as creating a marketing plan or a LinkedIn Strategy, and then offering to implement the strategy. We actually are still working with a handful of these businesses 7 years later. Again, make sure if you are submitting bids you aren’t selling yourself short. I remember one client I got right when I started my freelance business ended up being a $750/mo client, but at $20/hr, I was hardly living the dream. It’s much easier to manage five freelance accounts with each of them paying $5,000 a month versus 50 accounts with $100 a month. The next place to look for clients is going to networking events to meet local business owners who can benefit from your freelancing services. The strategy typically has a slightly longer turnaround, but is very fruitful and something Amber and I both still do. Beyond meeting new people and getting that adult interaction as a mompreneur, networking is wonderful because it allows you to refine your message. When I first started my freelancing business, I thought that I was going to be doing mostly data analytics. In my mind, marketing decisions should be driven by data. I am a math nerd and data analytics geek and trust me, that doesn’t get many other people excited. Some of my favorite clients truly appreciate data, too, but a majority of our clients don’t care about the data behind the scenes. As I was talking to folks in these networking events, I would just see their eyes glaze over. I realized that people understood they needed someone to help manage their marketing, but would be doing it themselves already if they cared about the solutions. When you attend networking groups as a freelancer, you will be able to more quickly refine your messaging. Now networking groups do require you go somewhere in person, so it may not be worthwhile to pay for a babysitter while you attend. I’d look for groups that meet first thing in the morning (so your significant other can lend a hand before work) or ones that meet later in the day, again, so you can more easily find a helping hand. These networking events also come in a lot of different forms. One issue I see over and over is that new freelancers waste too much time attending groups that don’t actually lead to new clients. Don’t just go to the most popular Meetup group or group that meets over happy hour. I’m an introvert, so I always found myself listening to conversations more than engaging with others in these more open events. However, I came across BNI about 5 years ago and absolutely LOVE their meetings (and the clients/referrals that come from members). I’ve since been the president and vice president of the chapter and as a member, you feel like you are actually creating relationships with the folks in your group, who then actually do go out and sell for you. There are plenty of other more localized groups that follow the same structure as BNI, but BNI is an international organization, so most likely you have a chapter or two (or more) in your area to check out. Be selective about the networking groups you choose to attend as a freelancing mom. So, we’ve covered thumbtack, networking groups, and then the third way to grow your freelancing business is through referral partners. As you’re going to the networking groups, you will be meeting new partners. You don’t want to just sell to the people in front of you, you want to gain access to their networks. This third piece is taking creating referral partners a step further. First things first, jump over to LinkedIn and clean up your profile. Then, start researching other professionals and businesses that service your same target market and provide complementary services to your own freelance services. I had my husband run through this when he was starting his business and within a month he had signed two $5,000 dollar contracts. One of them is still sending clients his way and then the other one actually now is my client and we have my husband do the blog writing. It all comes down to figuring out who else is servicing your target market. For my husband, a copywriter, I told him to email social media agencies like mine because I had been sending him business frequently. We also decided on website developers. Now he ended up just emailing the website developers because of the technical side of his background. After proving himself in an initial blog or writing sample, some of these initial contacts send him any new website build that needs content created. By creating these relationships with referral partners even if there’s a little bit of overlap in services, there can be short term success landing new freelance clients and provide long-term growth of your freelancing business. The best thing about tailored and individual email outreach like this is that it takes a whole lot less time than attending 50 networking groups every single week. [Insider Tip: You can also write the emails after your kids go to be and schedule them to send the next morning with the Boomerang App for Gmail). As long as you’re clear about the expectations with your new referral partners, you shouldn’t have any trouble really diving into those relationships. First, immediately respond to those freelance proposal requests on thumbtack or create your profile on Upwork and see what projects are out there. Secondly, join a local networking group and get to know the business professionals in your area. Again, I recommend finding a group that has structure and that actually shows that it’s passing leads and referrals with each other. I like the structure because I’m an introvert, but you might really thrive if you’re an extrovert with less structure. Still don’t join a group if they aren’t accountable for passing leads. We see a lot of leads being passed within our group, as do other BNI groups, just as an example. Lastly, the next item is figuring out who your referral partners could be and reaching out to them. Now if you notice I’m not focusing on building your website or anything like that. As you are working through these three steps to starting your freelancing business, you will be learning a lot about the language people are using to describe your specific services. Just have a home page or landing page to start and then build up more from there. See how many freelancing clients you can get through the three ways described above and you will be well on your way to a successful freelancing business! My best advice is to start a business now and give freelancing a shot. Freelancing is incredibly fruitful and it allows for that creative outlet, adult interactions, and again that freedom and flexibility that we all crave as moms. Again I’m Caitlin with the Social Speak Network. Please feel free to subscribe to our channel and head on over to our website. We have a lot of great blogs, videos, and different resources that can help you on your journey to becoming a freelancer.